A project for my LS5343 Youth Programs class was to design a storytime program. I picked one of my son's favorite books, Hoot Owl, Master of Disguise by Sean Taylor. 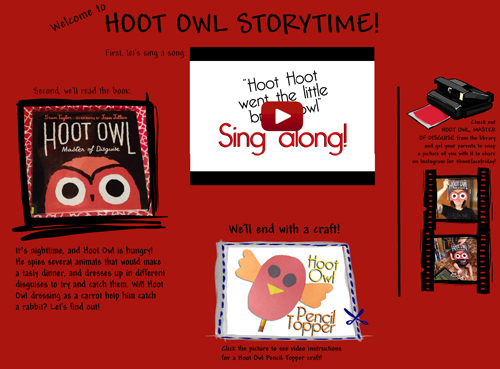 Check out my program ideas on Glogster to see the song and craft, too!